The XPand6212 and XPand6211 are commercial-off-the-shelf (COTS) rugged chassis, each supporting two conduction-cooled 3U VPX modules. Featuring a lightweight design with an integrated 28 VDC power supply, these are best-in-class embedded systems for programs that demand high performance while minimizing size, weight, and power (SWaP). The XPand6211 and XPand6212 are qualified to the rigorous MIL-STD-810 and DO-160 standards, ensuring that they can withstand punishing environmental conditions in a wide range of military and industrial applications. Both the XPand6211 and XPand6212 support mission-critical communications with an integrated XPedite5205 XMC/PMC Embedded Services Router (ESR). The XPedite5205 runs Cisco IOS® software with Cisco Mobile Ready Net capabilities, providing highly secure data, voice, and video communications to stationary and mobile network nodes across wired and wireless links. 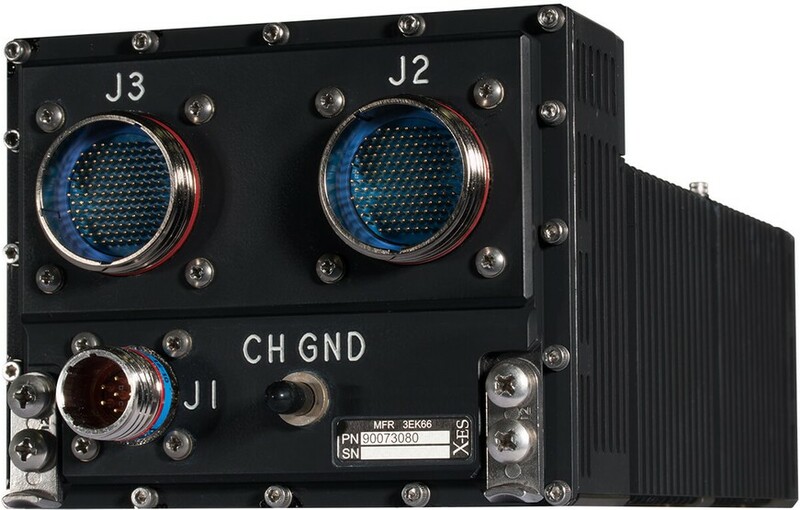 System integrators can combine the XPedite5205 with UHF, VHF, Wi-Fi, and other radio platforms to create mobile ad hoc networks (MANETs) without needing a connection to central infrastructure for military and emergency response. The XPedite5205 is certified to NIST FIPS 140-2 Overall Level 1 (certificate #2242) and NIAP Common Criteria (CC) validated. The XPand6212 optimizes both processing and networking performance, with the XPedite7670 3U VPX single board computer in one slot and the XChange3013 Gigabit Ethernet switch in the other. The XPedite7670 is a high-performance embedded computer based on the Intel® Xeon® D-1500 family of processors, which provide up to 16 Xeon®-class cores in a single, power-efficient System-on-Chip (SoC) package. The XChange3013 hosts the XPedite5205 router and supplies ample connectivity to this system, with a total of 14 Gigabit Ethernet ports between the switch and the router. The XPand6211 contains an XChange3013 3U VPX Gigabit Ethernet switch in each slot, one of which hosts the XPedite5205 router. This system maximizes connectivity with a total of 24 Gigabit Ethernet ports. The XChange3013 provides excellent network speed and efficiency, delivering full wire speed across all of its ports and supporting jumbo frames of up to 12 kB. The second XChange3013 hosts the XPedite8103 XMC module, a general-purpose processing unit offering the best-in-class performance-per-watt of the Intel® Atom™ E3800 family of processors. • In the XPand6211, replace the XPedite8103 with the XPort3200 XMC/PMC IEEE 1588v2 grandmaster clock module to provide nanosecond-level time and frequency synchronization. • In the XPand6212, pair the XPedite7670 with the XPort6105 XMC secure solid-state drive (SSD) for 512 GB of storage with self-encrypting drive (SED) technology. • In the XPand6212, replace the XPedite7670 with the XPedite7672 3U VPX single board computer to support applications that require maximum data and information protection. The X-ES Sales team can help determine which alternate configurations are viable based on program requirements.